Diane Ford is one of GB’s most experienced Masters competitors and world record holder for breaststroke. As reigning world champion for 50m, 100m and 200m Breast, she is aiming to defend her European titles in the 70-74 age group at London 2016. 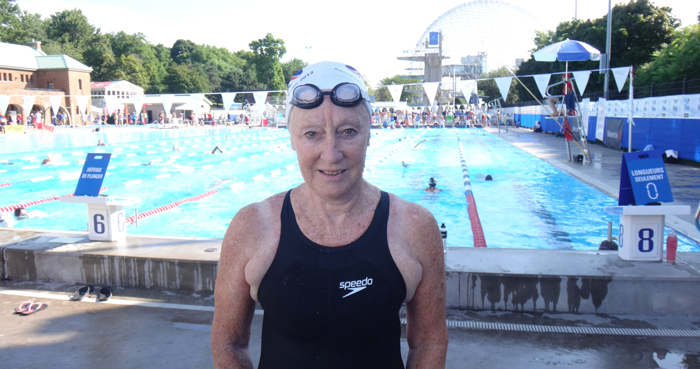 Christine Goodair interviewed Di exclusively for the ASA Masters Swimming Hub. Di, tell us how you got into swimming? I loved being in the water from a very young age. I would be in my stretchy woollen costume and in the sea before my parents had settled themselves on the beach on holiday! When I was eight, my mother taught me to swim wearing water wings. 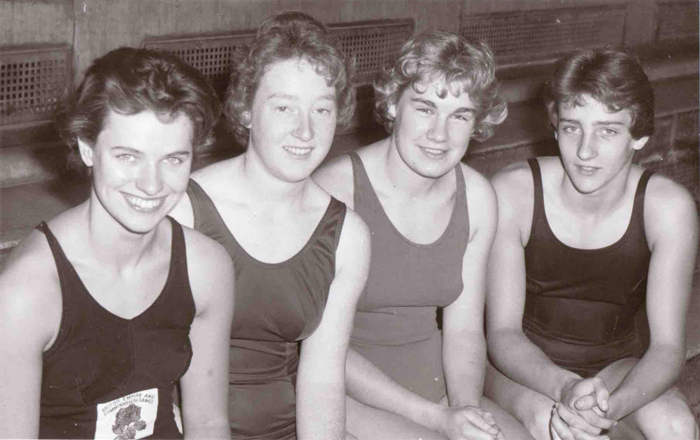 Then when I was 11, I was inspired by Catherine Macadam, an international butterfly swimmer who went to my school and who encouraged me to join Heston Swimming Club. In those days we used to do nearly all of our training on our number one stroke, butterfly in my case. I soon realised how hard butterfly was and changed to breaststroke. Did changing to breaststroke make a difference? Yes, it did. I took to the stroke and at 16/17 years won the Middlesex County ladies 200 yards breaststroke and represented Division 10 Middlesex and Hertfordshire at several English Schools Championships. I also swam the breaststroke leg of the Heston medley team for a few years, winning the National Championships at Blackpool several times. Have you taken any breaks from swimming? I had a break of several years whilst my children were young. I then moved to Hampshire and came across the fledgling Masters section at Rushmoor Royals. I joined and got back into my swimming. What was it like to return to training, and competition? At that time, we would swim a length and stop at the end for a chat, how things have changed! Training gradually increased and my first competition as a Masters swimmer was the Otter meet in 1981. This was swiftly followed by nationals in York that same year. My initial foray into the international scheme was the inaugural World Masters Games in Toronto in 1985 in the 40-44 years age group. To my surprise I won all three breaststroke events, setting new world records in the 50m and 200m. This was followed by competing in the first World Masters Championships in Tokyo where I was narrowly beaten in the breaststroke events, but won the 100m butterfly. I have since competed in every one of the World Masters and all but two of the European Championships. I have set world records in all three distances in most age groups since then. I was awarded the Napier Trophy by Hampshire ASA for setting a new world record for the 200m Breaststroke in 2013. I compete mostly under the Spencer banner and have also helped set many records as part of the relay teams. How are you preparing for the Europeans? What are you aims? I am looking forward to the European Masters Aquatics Championships in London where I would like to defend my titles. In preparation for this I am trying to put more effort into my training to increase my fitness and speed. I have also entered more events at the South East region meet this year to gain practice on my starts. My challenge is to try and maintain the standard as I get older, but I know this is going to be difficult, more so as I head towards the top end of the age group. I am inspired by fantastic swimmers like Jane Asher and Helen Gorman. I love to watch all good backstrokers as this is my worst stroke and Jo Corben has the most amazing technique and snappy turns. I also have a huge amount of respect for the many swimmers who bounce back from serious illness and operations as I’m not sure I would have the courage to do so. I enjoy going to different places in the world where perhaps I would not have a reason or choose to go to without the swimming. Also this provides a chance to meet with old and new friends from other countries, as well as the excitement of the competition. The incentive is ‘ageing up’ – there is always something to aim for in Masters swimming!